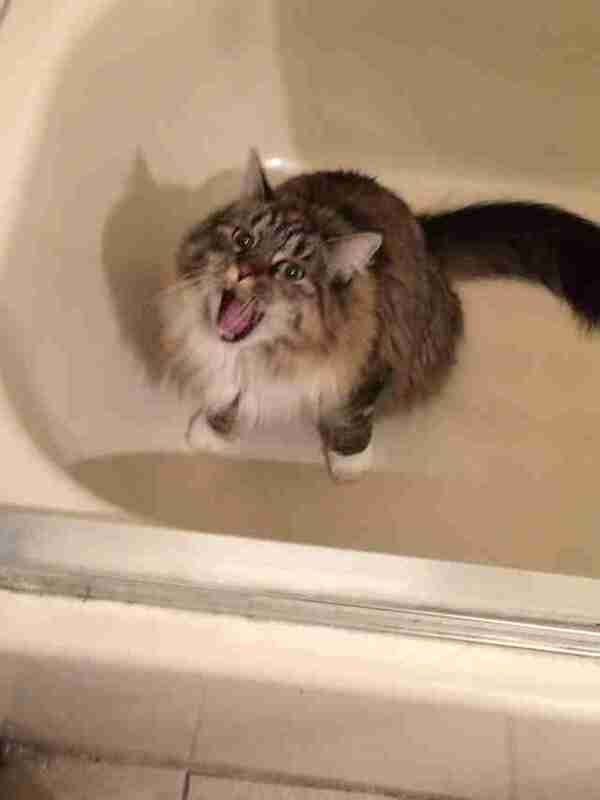 "My 19-year-old cat used to be terrified of bathrooms. Even walking by one [while] holding him he would clutch for dear life," one cat owner wrote in an online forum. "Now he spends most of his time in the tub ... drinking and soaking himself off of the drip." The senior cat was brought to the vet to check to see if he had kidney problems, common in older cats, causing excessive thirst, which could explain his sudden love for the tub. But no: "I have taken him to the vet a few times for check ups and nothing bad has come up. This is why I find this odd." It is odd; odd and ubiquitous. My own cat Brioche, as well as many cats I know, enjoy visiting the tub almost every day. 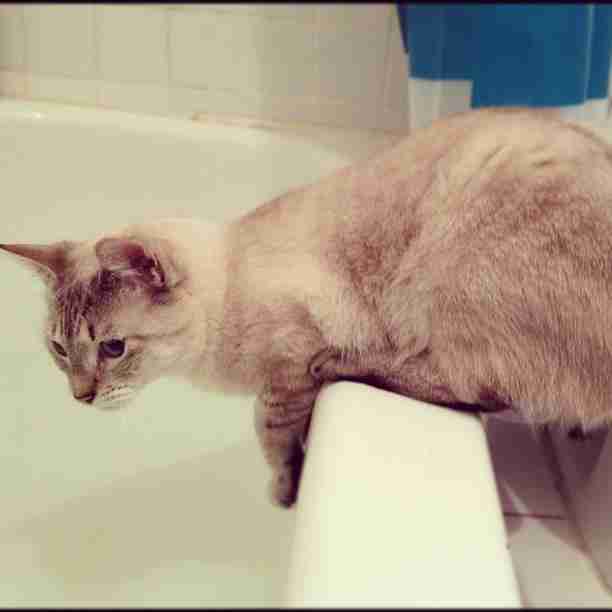 And a quick glance online, with key words "cat" and "bathtub," reveals a whole subculture of cats who love the tub. 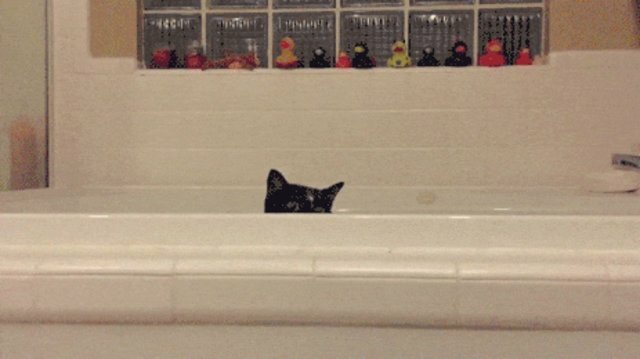 "My cat loves the empty tub. He jumps around, bats at any dot he sees, runs around ... it's a strange environment that stimulates him somehow," another cat owner wrote. 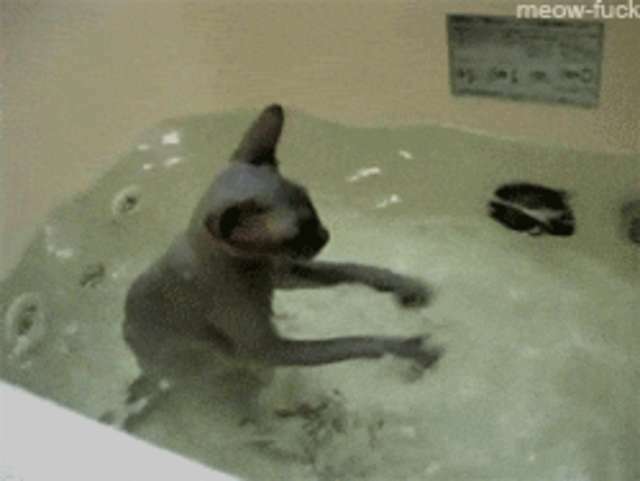 And while it's hard to absolutely verify, some experts have a theory that cats love the tub because of a vestige of their instincts as wild cats to go toward natural sources of water, like ponds and puddles formed by waterfalls or springs. Dr. Sonja Olson, a senior clinician in emergency medicine for BluePearl Veterinary Partners, told The Dodo that she has noticed her own three cats love puddles of water, as well as running water - from the sink, from small water fountains, pretty much just water that is dripping from anywhere. "They like water that's environmentally interesting and that may resemble natural sources of water," Dr. Olson said, pointing out that this could apply to water in the bathtub after someone has taken a shower, for example. "Our cats are so domesticated these days, I'm not sure how much they have left from living in the wild," Dr. Robert Proietto, of Proietto Veterinary Services, told The Dodo, "but it is certainly possible." Dr. Proietto's own cat "loves to go into the shower with my wife for some reason ... strange beasts, they are." Dr. Proietto said that even though people believe cats are afraid of water, this is a misconception. "Some cats actually enjoy swimming," Dr. Proietto said. One thing to keep an eye out for, if your cat loves the tub, is stomach upset - like vomiting or diarrhea - if he or she ingests soap suds. If the cat ingests some of the bath water or licks her paws after the remnants of a bubble bath, you may see some mild vomiting and diarrhea, but it's not likely to cause any serious toxicity, according to BluePearl Vets. Dr. Olson said you should of course clean your bathtub regularly, and if you know your cat goes in the bathtub a lot, you should use natural cleaners. Also, you should keep your cat away from the just-cleaned tub until it is fully dried - if you can. 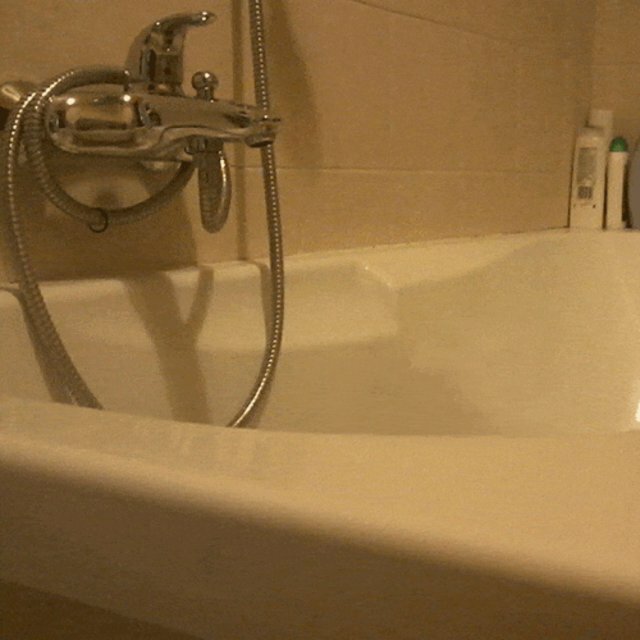 If you'd like to adopt a tub enthusiast of your own, you can check out Adopt-a-Pet.com to get started.